15mm sci-fi bonanza. Got to have Police! Vehicles are Hotwheel repaints. 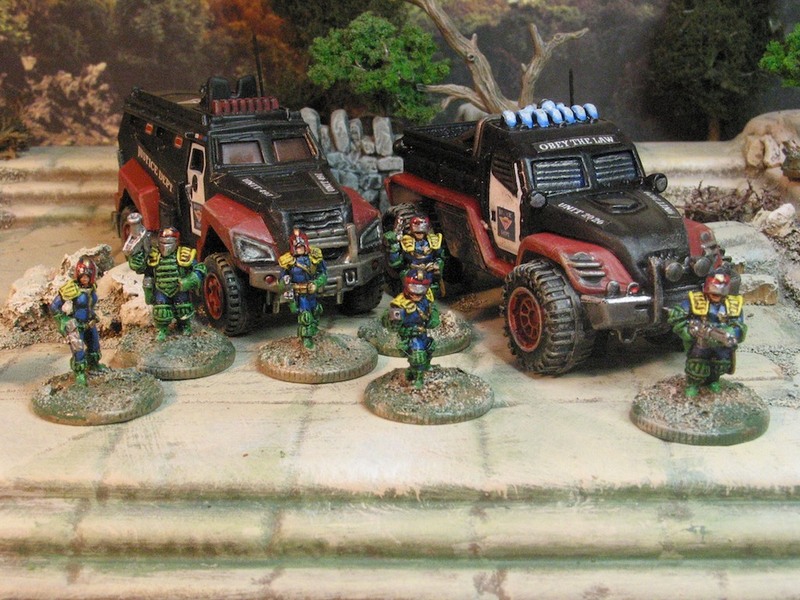 I realise the paint scheme doesn’t tie in with the law officers but I came across it during a Google research and liked it. So borrowed it. Previous Post15mm Sci-fi bonanza. 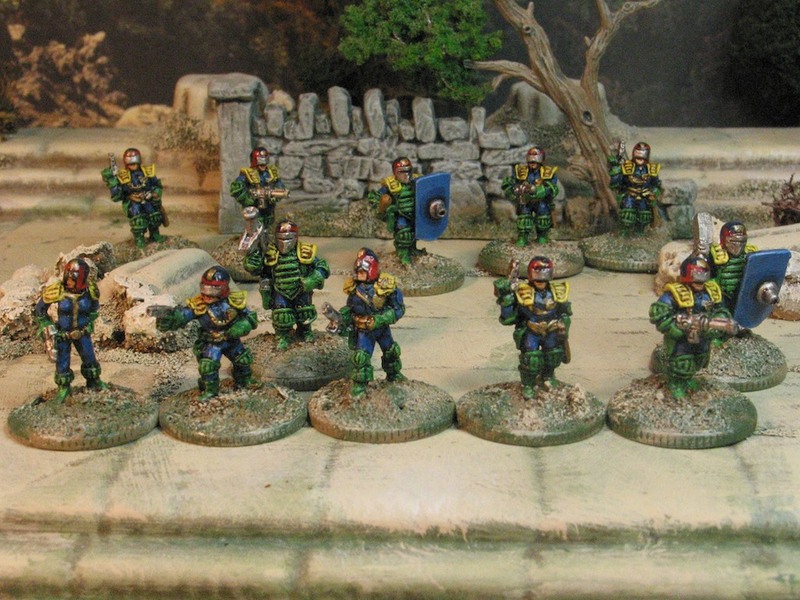 GOTA Clan urban forces.Next Post15mm sci-fi bonanza. Assassins!! !